A very old church in a lovely area full of middle-aged buildings. Of course not all of them are original, but at least they look like this. 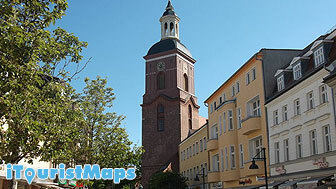 As for the church, it is considered to be the oldest one in whole Berlin (13th century).